Floppy-eared friends are trending! 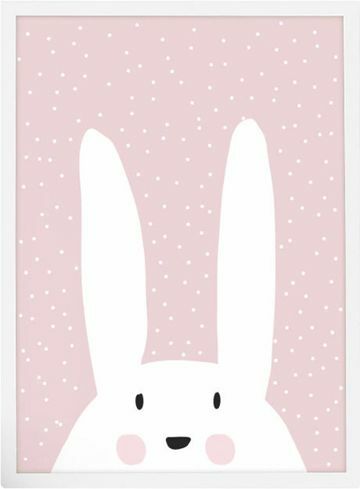 Use them as a hopping-off point for your baby’s room. 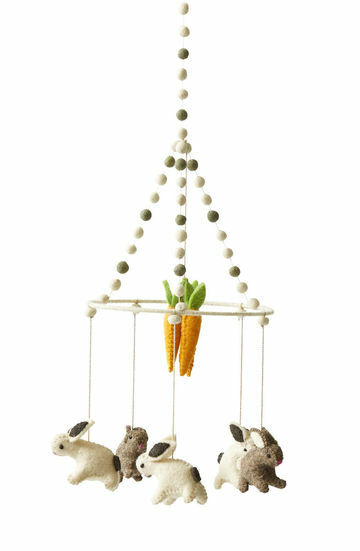 Five felt bunny friends twirl around on a cute mobile. $76. This framed art comes ready to hang. $43. 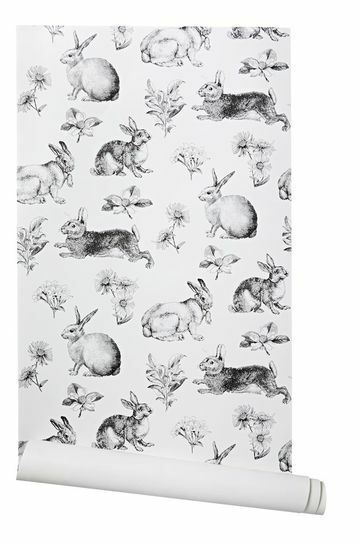 Black and white Toile Lapin Wallpaper turns a wall into an enchanting meadow scene. $78/roll. 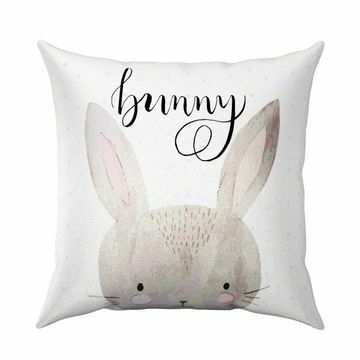 A cute bunny throw pillow sets a playful mood. $27. 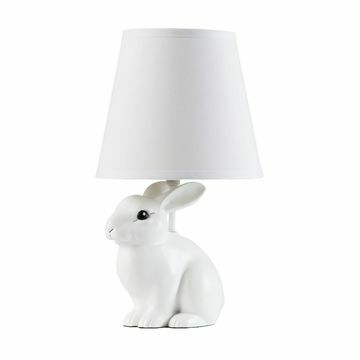 Turn on the light with the Abracadabra Bunny Lamp. $79. 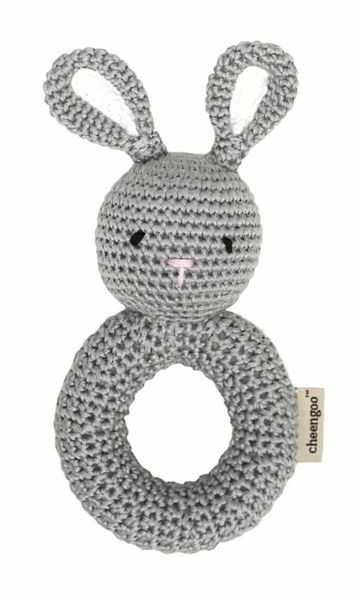 Even if you don’t commit to a bunny theme, this knitted rattle is adorbs! $13. 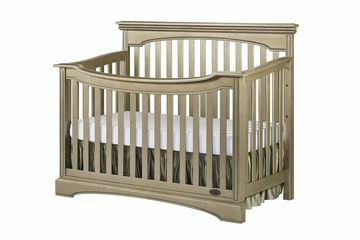 Evolur’s Windsor/Catalina 5-in-1 Convertible Crib transforms into a tot bed, daybed, then full bed with or without a footboard. $460.